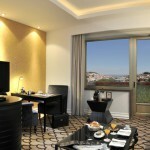 Located on Avenida da Liberdade, this elegant 5-star Lisbon hotel is set right in the heart of the city. Renowned for its business meeting facilities for top executives, the Tivoli Lisboa continues the tradition of being a well-known meeting point in the city. A weekend break in this Lisbon luxury hotel means you can enjoy a drink in the privacy of the Terraço Bar with a superb view over Lisbon, or take a moment to relax in the Tivoli Caffè Lisboa. 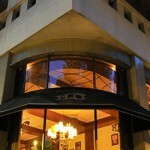 We suggest a visit to our lively Brasserie Flo Lisbon restaurant, which satisfies even the most discerning of palates. 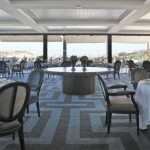 At the Terraço restaurant enjoy the selection of stylish dishes, accompanied by a unique view over the city of Lisbon. 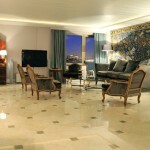 These luxurious rooms and suites will meet all of your requirements. They are all equipped with LCD TVs, LCD monitor in the bathrooms, Wireless Internet, individual reading lights and night lights, I-Home (I-pod connection) and coffee making machine. 1 Specially adapted room for disabled guests. The first choice for top executive incentives, the Hotel Tivoli Lisboa can host your business events in a setting of unparalleled quality. Perfection is expressed in every detail. Five star elegance at the service of the most exclusive celebrations, in a stunning setting with sublime cuisine and an exceptional selection of wines. 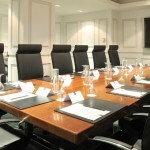 For an extra special touch, opt for the Conference and Events Centre, next to the swimming pool. This is a multi-purpose and multi-functional area which has been totally rebuilt and improved and can be adapted to cater for a wide variety of events, from private parties to the most demanding of weddings and receptions. 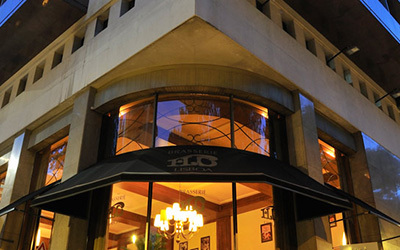 This charismatic building dating back to 1928, and quite unique in the centre of Lisbon, provides the perfect setting to ensure that your events are unforgettable. 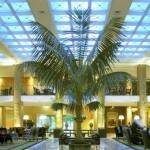 Much more that just simple meetings, conferences or banquets, your events in this 5 star hotel in Lisbon will live in the memory!